June 1 marked the beginning of the 2018 Atlantic hurricane season. In preparation, Orange County homeowners are being advised to keep their trees trimmed and healthy. If maintained properly, healthy, mature trees can help shield your home during a storm. Keeping them professionally pruned will allow hurricane force winds to pass through them, as this will lessen the chances they blow over. Professional pruning should be done every few years by a certified, insured arborist. Look for an arborist who provides written quotes before agreeing to have any work done. It is important to have your tree-care specialist evaluate branch patterns that may be susceptible to wind damage. Dead wood, especially, can substantially damage your home during high winds. Sometimes, an arborist may recommend removing large, unhealthy and damaged trees that are close to your home to avoid potential hurricane damage. If unhealthy or damaged trees are removed, always ask the arborist to recommend a replacement tree you can plant. As should always be the case when having any work done in or around your house, make sure permits have been properly prepared before you agree to have trees removed or have other substantial hurricane preparation work completed. Please note that Orange County Government does not provide tree trimming and arborist services to residents on private property. 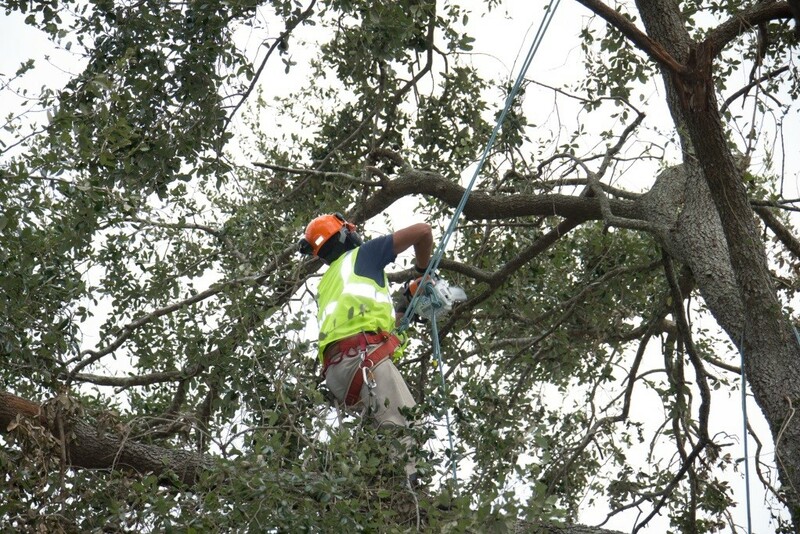 To find an ISA-certified arborist in your area who does provide these services, please visit Treesaregood.org. For more information on how to prepare for a hurricane, visit www.ocfl.net/storm. Photo Caption: Keeping trees professionally pruned will allow hurricane force winds to pass through them. Professional pruning should be done every few years by a certified, insured arborist.